Key Difference: Android is an open source, free, Linux-based operating system for smartphones and tablets. The system was designed and developed by Android Inc., which was funded and later purchased by Google in 2005. Windows Phone is a series of proprietary software developed and marketed by Microsoft Corporation. Windows Phone is a closed-sourced, which means that it is solely developed by the company and protected by copyright. The company offers a bunch of new features compared to the older Windows Mobile OS. Smartphones are a recent phenomenon and weren’t always this popular. Prior to the Android vs. iPhone vs. Windows debate, there would only be the Windows palm pilots or pocket PCs that ruled the market. These were also only popular for many businessmen keeping appointments and phone numbers in one place. Then Android was introduced to the market in 2007 and a lot of changes were made bringing technology to the point we are now. While, many people believed that Android was a just a rookie gearing up to fail, not many people saw that it would become one of the most popular smartphone OS in the market. This has also caused many other companies to step up and challenge Android. 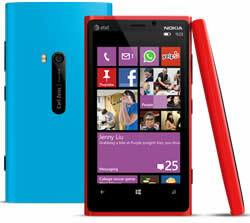 Windows has recently launched the Windows 8 Mobile systems and is currently a popular OS among Nokia fans. Android and Windows Mobile are two different operating systems that run on phones, smartphones and tablets. Android is an open source software, which means that the code is freely available under the Apache License for modification and distribution by device manufacturers, wireless carriers and enthusiast developers. Android was first unveiled in 2007 and the first phone running on Android, HTC Dream, was sold in October 2008. As the Android is open source software, manufacturers can modify the operating system to suit their respective needs and phones. This becomes a cheap and feasible alternative for the manufacturer, as opposed to developing an operating system in-house or hiring a software company to do it. Among the number of various companies, Google has also launched its own line of smartphones based on Android, called the Google Nexus. Each device in the Nexus line is produced via collaboration between Google and a leading original equipment manufacturer (OEM) partner. Traditionally, each new Nexus phone is launched with a new version of Android and provides the unadulterated Android experience. Furthermore, as many manufacturers are running Android on their phones as well as the added benefit of Android being open source, many developers can develop content, apps and games for Android. The content, apps and games are then available in Google Play, the Android App Market, many at times freely. Hence, developers get to showcase their talent on a widespread forum, and the availability of numerous and free apps and games, make Android popular for consumers. Another popular feature of Android is the number of apps and the Google Play. Google Play, formerly known as the Android Market is an application distribution platform, where developers publish applications for the many Android users. The applications are also developed by an open community and many of them are free for downloading through Google Play. Android is also popular because of constant and frequents updates that are available by Google. Google releases major updates every six to nine months, with minor updates much faster. The latest Google update was the 4.2.2 Jelly Bean, which is Google’s 17th update since the launch of Android. Windows Phone is a series of proprietary software developed and marketed by Microsoft Corporation. The software is the successor to the original Windows Mobile platform but it does not support it as the older platform has been discontinued. It is aimed at the consumer phone market rather than the enterprise market. The system was launched in October of 2012 and the company announced the software at the Mobile World Congress in February 2010. Microsoft released an updated version of Windows Phone 7 and showcased features such as: Internet Explorer 9, multi-tasking of third party apps, Twitter integration, Windows Live and Skydrive access. The latest release is the Windows Phone 8, which offers the new Live Tiles is currently being offered on the new Nokia Lumia series. Windows Phone is a closed-sourced, which means that it is solely developed by the company and protected by copyright. The system offers new features such as: a whole new interface, text input by an on-screen virtual keyboard, threads messaging, Internet Explorer browser, organized contacts via People Hub, Email access (support for Outlook.com, Exchange, Yahoo! Mail, and Gmail), Xbox Music, Xbox Videos, Xbox Video Store, Games Hub, Bing Search Engine, Bing Maps, Voice recognition function, turn-by-turn navigation, Office Suite (Microsoft Office Mobile), Multitasking capability, syncing capability with Zune software, Windows Phone App and Windows Phone Store. The Windows Store is limited as there only a few number of apps. The company has yet to populate the store with the number of apps that is available on Apple Market or Google Play. Updates are provided by different parties in the consortium. Updates are only done by Microsoft. Applications are created by an open community of developers. Applications are created by tie up companies and Microsoft. Google Sync for Gmail, Contacts, and Google Calendar. Mail, Exchange, Outlook Contacts, Calendar, Windows Market, etc. 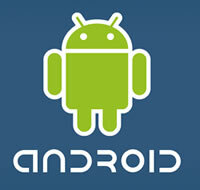 I think I will go for Android because it supported a wide range of applications & its the most populous smart phone now.